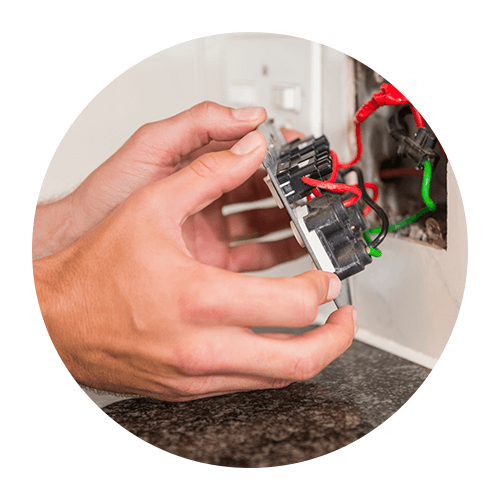 Residential Electrician Jackson, TN | Electrical Contractor Jackson, TN | Electrical Technician 38305 - Delta Electrical Inc. If you’re searching for a residential electrician in Jackson or the surrounding area, look no further than the team at Delta Electrical. We know what it takes to go above and beyond, and we do the job the right way the first time around. No matter what type of electrical work your home needs, we’d love to help. WHY HIRE A RESIDENTIAL ELECTRICIAN FROM DELTA ELECTRICAL? If you’re looking for a residential electrician that’s built a business around professionalism, integrity, honesty, and fairness, Delta Electrical Inc. is here for you. We’ve made it our highest priority to provide the best services with the most competitive pricing, so you can rest assured that whether the project that needs completing is a large undertaking or simply a quick repair, you’ll get the best bang for your buck. All of our residential electricians, project managers, and estimators have an average of 20 years in the industry. We’re also licensed, bonded, and insured in a number of states. With hundreds of satisfied customers, you can be confident that we’ll get the job done the right way every single time. At Delta Electrical Inc., we’re the local electrician you can trust. We proudly serve the residents of Jackson whether they need electrical work for their home additions or emergency power systems. With plenty of experience and a dedication to professionalism, honesty, and integrity, we get the job done right.We were recently voted Jackson, Tennessee’s Top Electrical Contractor and 2015’s Business of the Year Winner, so if you need a residential electrician to tackle a job for your home, please contact us today. We’d love to come out and lend a helping hand.